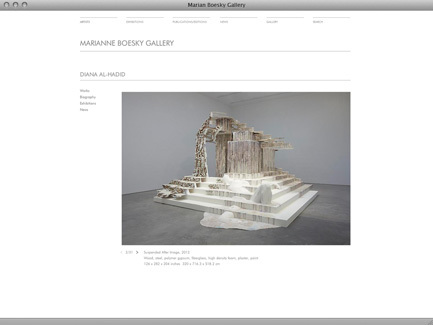 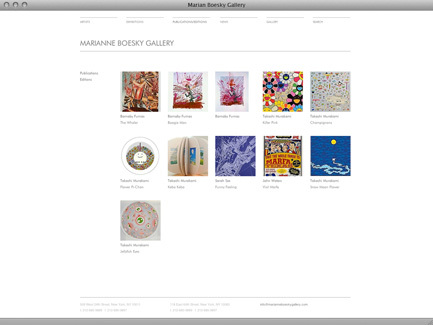 Since starting in Soho in 1996, Marianne Boesky Gallery has launched the careers of Sarah Sze, Takashi Murakami and Yoshitomo Nara. 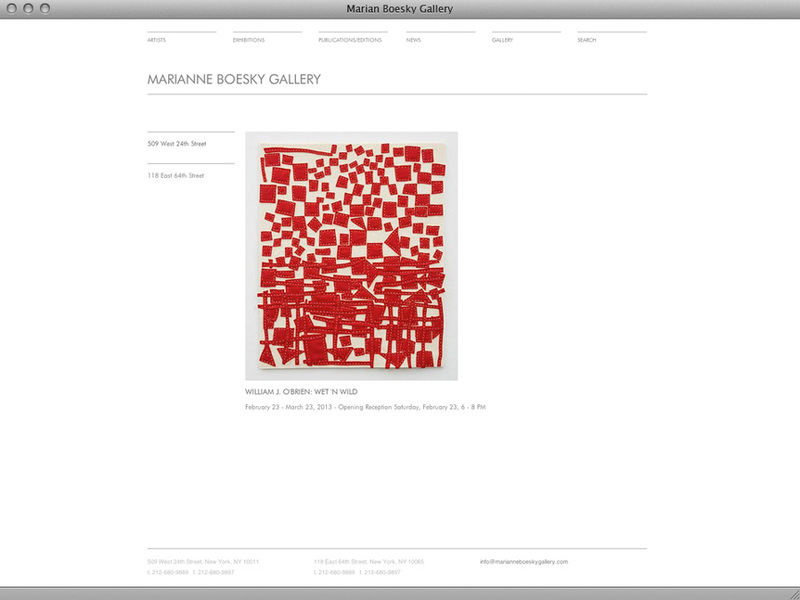 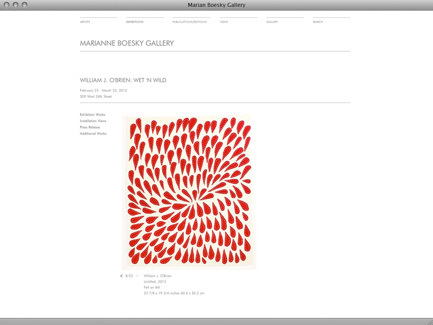 The gallery boasts two locations in New York City, 118 East 64th Street and 509 West 24th Street. 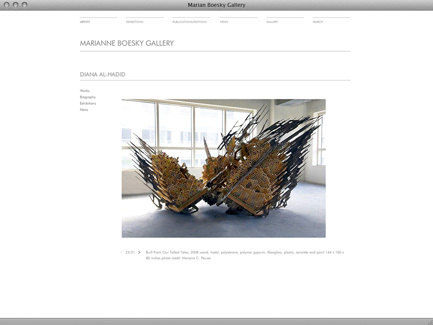 Its Chelsea space on West 24th Street, a stunning building, was designed by Deborah Berke and Partners. 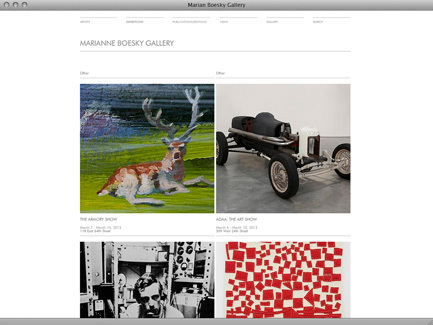 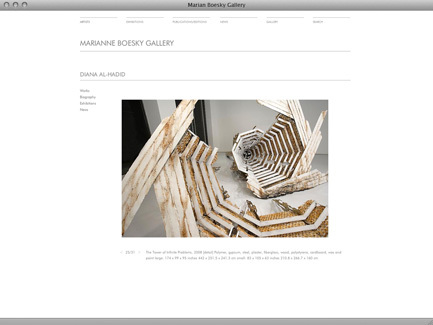 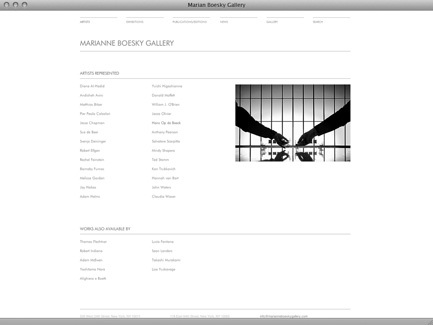 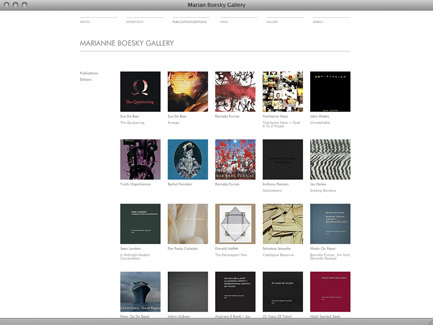 The Gallery represents and supports the work of emerging international artists of all media.